While Domaine Paul Autard has a long, multi generational history in the Southern Rhone Valley that dates back to 1924. However, the modern era for Domaine Paul Autard really begins to take off in 2005 when Jean Paul Autard took over managing the estate. Domaine Paul Autard owns 13 hectares of vines in the Chateauneuf du Pape appellation. 12 hectares are devoted to red wine grape varieties and 1 hectare of vines is reserved for the production of white wine. 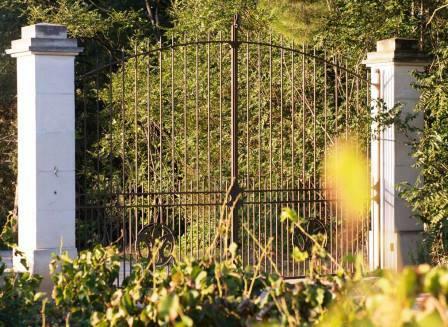 Domaine Paul Autard also owns 12 hectares of vines in the Cotes du Rhone appellation where they produce red wine, and a late harvest, sweet white wine from Viognier, Je me Souviens. Domaine Paul Autard produces 3 red Chateauneuf du Pape wines and one Chateauneuf du Pape Blanc. Domaine Paul Autard Chateauneuf du Pape is a blend of 70% Grenache, 15% Counoise and 15% Syrah. The grapes are usually fully destemmed. The terroir is sand, rocks and stone soils. The wines are vinified in stainless steel tanks and is aged in used, French oak barrels for between 12-14 months. The production is slightly less than 6,000 cases per vintage. Domaine Paul Autard Cuvee La Cote Ronde – Cuvee La Cote Ronde made its debut in 1989, making it one of the first, special cuvee wines in the region. The blend is 50% Grenache and 50% Syrah from vines that are more than 60 years of age. The vines are planted in the Arnesque, L’Baratin, Barbe d’Asne and la Barnouine lieux dits. There you find a terroir of galets and sand soils. The grapes are fully destemmed. The wine is aged in 100% new, French oak barrels for an average of 18 months before bottling. The production is close to 800 cases per year. Domaine Paul Autard Cuvee Juline is named after the two children of Paul Autard, Jules and Pauline. The wine made its debut with the 2006 vintage. Cuvee Juline is made from a blend of 50% Grenache and 50% Syrah completely destemmed from vines that are older than 60 years of age. The terroir is various rocks stone and sandy soils. The wine is micro-vinified in new, French oak barrels and is aged in the same barrels for 18 months. The wine is quite modern in style and will not please everyone. This wine is quite difficult to find as only 175 cases are produced. Domaine Paul Autard Blanc is produced from a blend of equal parts, Grenache Blanc, Clairette and Roussanne. The vines are old at an average age of 55 years. The best vintages of Domaine Paul Autard are: 2018, 2017, 2016, 2015, 2012, 2010, 2009, 2007, 2005, 2001, 2000 and 1998. Domaine Paul Autard can be enjoyed on the young side with 1-2 hours of decanting. This allows the wine to soften and open its perfume. Older vintages might need very little decanting, just enough to remove the sediment. Domaine Paul Autard is usually better with 3-5 years of bottle age. Of course that can vary slightly, depending on the vintage. In the best vintages the wine should be consumed within 3-14 years after the vintage. Domaine Paul Autard is best served at 15.5 degrees Celsius, 60 degrees Fahrenheit. The cool, almost cellar temperature gives the wine more freshness and lift. Domaine Paul Autard is best served with all types of classic meat dishes, veal, pork, beef, lamb, duck, game, roast chicken, roasted, braised, stewed dishes, sausage, grilled meat, barbecue and cassoulet. Domaine Paul Autard is also good with Asian dishes, hearty fish courses like tuna, mushrooms, cheese, pasta, eggplant and tomatoes. The white wine of Domaine Paul Autard is best served with a myriad of different seafood dishes, shellfish, crab, lobster, sushi, sashimi, chicken, pork and veal, as well as Asian cuisine. Dark in color, the wine, made from equal parts Grenache and Syrah is big, powerful, dense and concentrated and oaky.. Following the color, you're easy finding incense, espresso, spice box and smoke to accompany all the dark, red fruits. There is sweetness and depth, as well as vibrancy and opulence. The fruit is perfectly ripe and the fruit is round and lush, but you have to move past the oak, letting the wine age before you get to the real beauty found here. The wine is aged in 100% new, French oak for 19 months before bottling. Juline, takes it name from the names of Jules Autard and Pauline Autard, the children of the Autard family is one of the most modern styled wines in all of Chateauneuf du Pape.. The oak is the first thing you notice before moving on to layers of sweet ripe, opulently textured fruits. There is purity and weight here, with loads of fruits in the finish, along with wood. This will take time for everything to come together and for the oak to better integrate. The wine was made from a blend of 70% Grenache, 20% Syrah and 10% Mourvedre. The wine was aged in 30% new, French oak barrels for 14 months. Juline, takes it name from the names of Jules Autard and Pauline Autard, the children of the Autard family. The wine is one of the most modern styled Chateauneuf releases today. Fat, round and with a lot of oak in the nose, the oaky profile coexists with the fleshy, black raspberry and cherry tones, providing lush textures and a hedonistic approach. But there is a lot of wood going on here. The wine is made from blending of 50% Syrah and 50% Grenache that is aged in 100% new, French oak for 19 months before bottling. Much of the oak is already taken up by the Syrah, but there is still a woody profile that is going to be an issue for many tasters. I'd let this rest for at least 5-7 years for the oak to better integrate. Smoke, with espresso and vanilla notes are what you notice first before you get to the deep, red fruits. The wine is fat, round and forward, with density of fruit and flavor, along with a lot of oak, making this one of the most modern styled wines in Chateauneuf du Pape today. The wine was made from blending 50% Grenache and 50% Syrah. Modern in style, with oaky notes out in front, the wine serves up vanilla, and espresso over its red fruits. Round and opulent in texture, the oak is fairly strong for a Grenache wine from Chateauneuf, so some tasters are going to have a hard time with it. The wine was made from a blend of 70% Grenache, 20% Syrah and 10% Mourvedre. The wine was aged in 30% new, French oak for 14 months. Juline, takes it name from the names of Jules and Pauline Autard, is a modern styled Chateauneuf. Round, fat and forward, there is a distinctive oaky profile along with the fleshy, black raspberry and cherry tones. Lushly textured, the wine really works this year due to its blend of 50% Syrah and 50% Grenache. With a kiss of oak, delivering a fresh espresso character coupled with fresh, juicy cherries, thyme and spice, the wine is round, open, polished and ready to go. This is a modern styled wine that is not for everyone. Juline, named after Jules and Pauline Autard, is modern in style, with its oaky nose, lush textures and flashy, fruit filled finish. Sweet, cherry jam in the nose, with hints of licorice and toast in the nose, with a forward, silky, blast cherry in the round finish. With a big kiss of oak, licorice, lavender and kirsch, this modern styled wine leaves you with a polished, black raspberry finish. This is not a wine for everyone, due to its modern styled, obviously oaky character. Once past the oak, the blend of 50% Grenache and 50% is full bodied, concentrated, lush, round, fleshy and flashy, with a sweet, cherry, licorice and herb filled personality. Very oaky, modern style of Chateauneuf du Pape that inspire discussion between modernists and traditionalists. The wine has a lot of depth, fat textures, richness and ripe fruits and a real lush sensation. If the oaky, espresso notes integrate the score should go up. If they persist, my score would drop as I do not really like too much oak in Grenache driven wines. Forward, open and ready for drinking, the wine is soft, round and delivers a ripe, sweet, kirsch, black raspberry, thyme, smoke and spicy taste. This is not a wine to lay down for much more aging. Modern, oaky, round, fat, lush, sweet and packed with ripe kirsch, licorice, smoke and cherry notes. Concentrated and made for pleasure, the modern style of this wine is going to please some people a lot more than others.